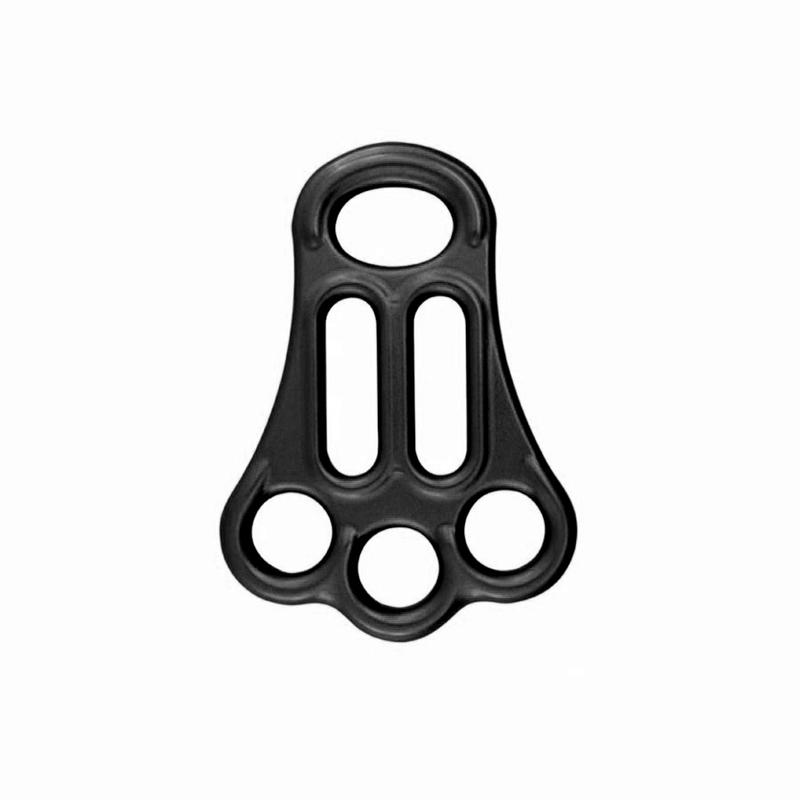 The Kong Full is a multi-use lightweight belay plate that can also be used as a rigging plate and a brake for rappelling with single or double ropes. The Kong Full is often used by guides or mountain rescue as the large number of holes allows you to make a belay point without using chains of multiple plates and carabiners. For added safety, the wide hole can accommodate two carabiners, and the Full works with ropes from 8mm to 12mm in diameter.